September 22, 2016—-The human population of planet earth is under a great deal of stress. Civil uprisings and violence are widespread. There are a variety of factors responsible for the stress. They include population growth, resource depletion, climate change, and the rapid concentration of wealth in a small group of super rich. There is no simple answer to these problems but slowing or halting population growth provides part of the answer. 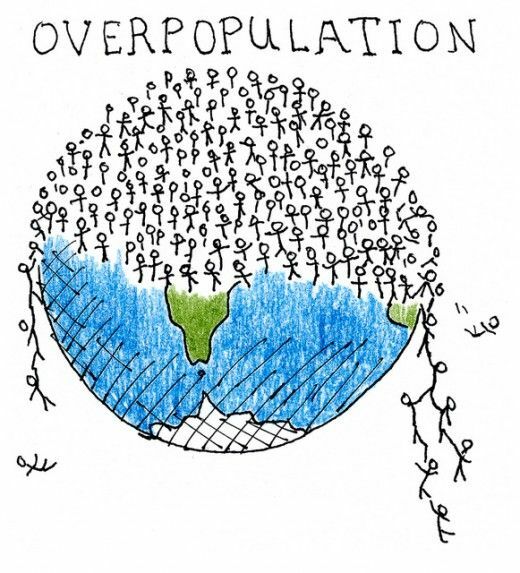 Much of today’s global unrest and violence can be traced directly to overpopulation. The population in large areas has simply grown to the point that there are no longer enough resources to provide even a basic standard of living. However, there are those that profit from the rapid growth and are working to prevent efforts to slow the rate of growth. The global population is growing—80 million people each year. It is now adding a billion every 12 years. It’s clear the earth cannot sustain this kind of growth. Wall Street and its investors want to see our population grow. The operating philosophy of the corporate world is economic growth. Economic growth has been the cornerstone of political and the economy since the advent of the industrial revolution more than 200 years ago. The industrial revolution was about increasing the production of manufactured goods for profit. Corporate profits depend on expanding the market for their manufactured goods and services. This can be accomplished in either of two ways. The first was to expand the market geographically and the second was by reducing the price of the commodity. In the United States, 70% of the Gross Domestic Product (GDP) is now generated by services, and so the major market is the size of the population itself. Increasing the population automatically increases the market for goods and services. Based on this simple principal of growth, corporate America has opposed any effort to slow the population growth. In the United States, there is a substantial effort to reduce family size through methods of birth control. However, there are more than three million unintended pregnancies each year. Most are not using oral contraceptives simply because they do not have access to them. Planned Parenthood of America (PPA) is one of the most prominent groups providing these services. The demand for their services is high. It is estimated that twenty percent of American women have been to a clinic operated by PPA for health reasons. Most of the clients are low income and have no other health care provider. There is now a major movement in this country to eliminate birth control. The opposition to these services is led by a variety of groups which consider themselves as being pro-life. One anti-abortion group even produced a video supposedly showing a clinic selling fetal parts after an abortion. The video has since been shown to have been fabricated. In recent years the the government has supported Wall Street’s position. The Republican Party has long prevented US funds from being used for family planning in foreign countries. It is now supporting the religious right in efforts to defund family planning in this country. They consider contraception to be a form of abortion. They thus argue that contraception is not compatible with the pro-life movement. The current congress is also in opposition to the Affordable Care Act under which contraception is available. As a result opposing contraception has become a Republican strategy. The house of representatives proposed the defund Planned Parenthood act of 2015 (HR3134) last year. 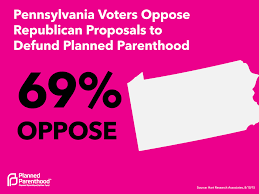 This bill would prohibit any funds from being used for any purpose by Planned Parenthood Federation of America. The 114th congress blocked funding for Planned Parenthood for providing abortions. This bill would remove nearly half a billion dollars from the organization. Also in 2015 congress setup several committees to investigate Planned Parenthood. Fortunately, President Obama has prevented these bills from becoming law. Many states have since passed their own laws limiting family planning. Should the Republican Party sweep the coming elections, the availability of family planning services will be greatly reduced and our population will continue to grow at an unhealthy rate. Categories: distribution of wealth, Population, Poverty, Sustainable Education | Tags: #affordablecareact, #birthcontrol, #overpopulation, #plannedparenthood | Permalink.